Thanks to Julia Mackey for taking this picture and letting me use it. 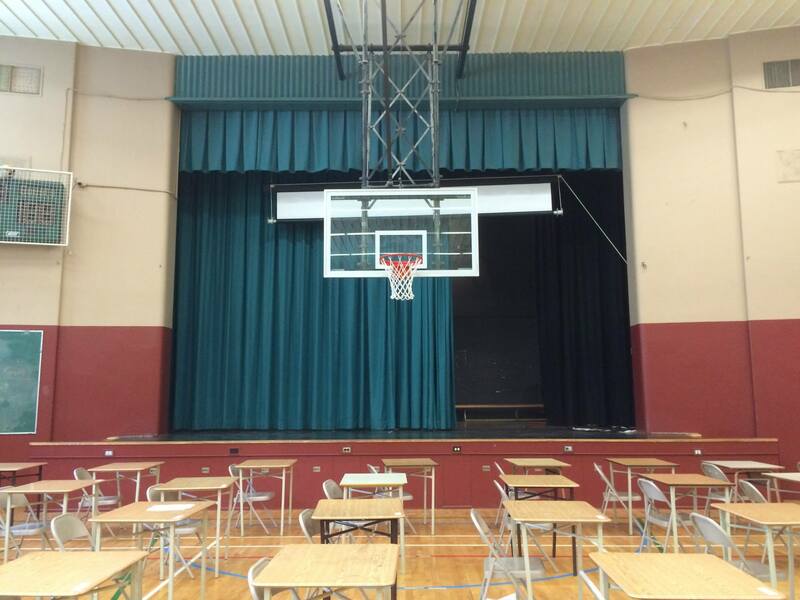 This could be any gym in any high school at this time of year: prepared for final exams with tables in a row – inspiring the fear of cheating, whispering, failing. In 1985 Network file systems were invented so people could access and share data between computers. The World Wide Web came into play a few years later and over the next little while things started to really speed up: from technologies that allowed us to access the Internet to those that allowed us to communicate to each other through it – browsers, email, html, pdfs… all of these have been around for over 20 years. And we are still testing our children in quiet rooms, with tables in a row – inspiring the fear of cheating, whispering, failing. But what is remarkable about this particular room is that it is not just any gym. The picture was taken in 2015 but it could have been taken in 1985, when I wrote my final high school exams at one of those desks. Last week I attended my 30th high school reunion. There had been reunions in the past but for one reason or a few, I never participated. This was the first time I really revisited my high school as well as the people who went there with me. High school wasn’t a highlight of memory in my life. Walking through its halls last weekend, I didn’t remember where my locker was or where most of the classrooms were. I have vague memories of soccer games, dances, drawing, our vice-principal’s office, some classes but I think my first two years were mainly spent trying to fit in and figure out how to be a teenager, and my last two were spent trying not to fit in and figuring out how to grow out of being a teenager as quickly as possible. During the week before the reunion, much like a student during the week before exams, I felt off. There was a slight buzz of anxiety in the background of everything I did. I thought I was possibly coming down with something but, as always, my body was transmitting messages. I was looking forward to the reunion, absolutely, but I realized the people on the list were people I knew, but no one (save 1 or 2) were people who I ever really got to know. Was I feeling the old high school tension of fitting/not fitting in? Was I the only one feeling that? I woke up the morning after the reunion tired but the background buzz was gone. The night had been a most comfortable meeting of familiar strangers. And it is because, though I had not seen the vast majority of people I spent time with that night in 30 years and though I had not spent a lot of time really getting to know them during my high school years, we were all from the same high school (and elementary schools, for most of us!) and that was enough. That night, I began to get to know some of the people I remembered/didn’t remember from high school and since then I have continued through Facebook, somewhat. And it is good. For some of us, our children have gone through or will soon be going through the same testing process that grants them release from high school into the ‘real’ world. Some of us have younger children and, if I have anything to do with it ;), high school will be recognized as part of the real world by the time they get there and the testing process will no longer be structured along rows of desks, silence, and fearful anxiety. However their high school will be structured in terms of academics, it is the people they will remain connected with. Without even realizing it, I remain a part of the community that is Mac High, Graduating Class of 1985. And it is good. I originally published this post in May of 2013. I feel this rant coming on again…so here you go. I hear so many educators complain about how technology is hijacking our students’ education. How they don’t know how to be digital citizens. How they are addicted. How all they care about is YouTube and Facebook and their social lives. So instead of teaching it they dismiss it, poopoo it, and try to ban it. Tell me… How do you propose students learn about being digital citizens if not at school? Part of my job, no. Most of my job has me thinking about Professional Development. Today it has me wondering about how much others think about it. As a teacher, how much importance do you place on PD? Is it something you do because it is part of your yearly schedule or is it something you actively seek out and want a say in? 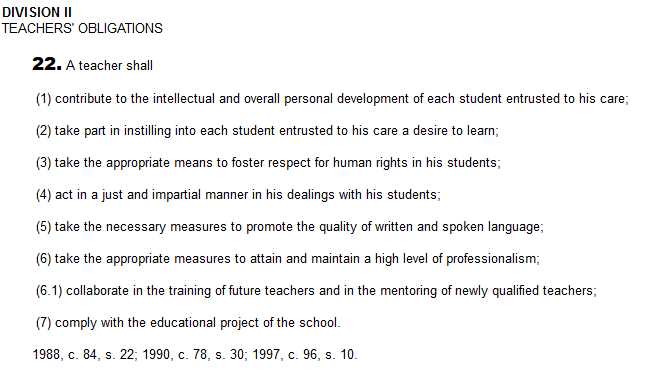 The Quebec Education act tells us that we need to maintain a high level of professionalism – what does that mean to you? And does it mean the same for all of us? It also says that we are required to be involved in the training and mentoring of new teachers. How are we helped in that area? What does this look like? My bias is that PD is our tether line. It is what can keep us connected to others and to our own growth as we navigate the cliff sides of the ever changing classroom context. 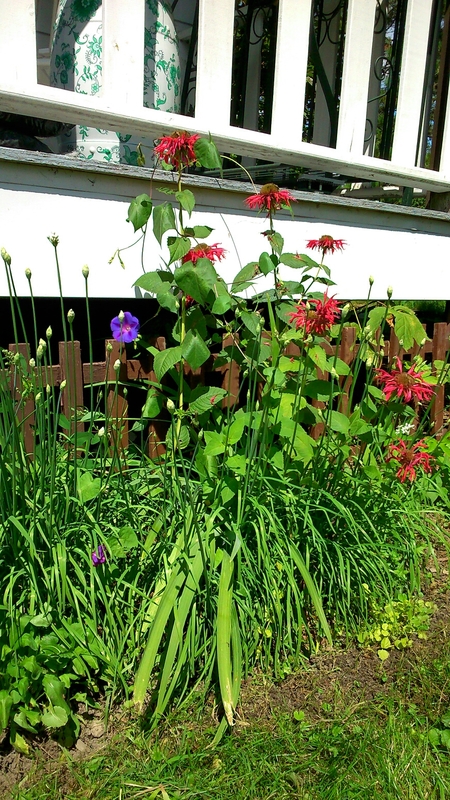 When I garden I want to tear my hair out along with the weeds and grass at times because there just seems to be so much to pull to let the plants I love to breathe and shine. My first inclination could be to just pull haphazardly but I’ve noticed that if I patiently allow my hands to travel to the root of what it is I want to suss out, then a gentle tug is enough to remove a whole tangle of unwanted grass and weeds. Understanding why and locating where is enough to tend to just about any garden. Hope for the future. My dilemma. My driving force has always been hope for the future. That everything I do is buttressed by this incredible hope for the future. Indeed, that everything we do in education is held up by the same. There is a lot of talk about hope lately. There has to be because some pretty hope-less events are happening. Men are being killed for the colour of their skin and their killers are not being punished for the colour of theirs. Women are lost/missing/disregarded for their ties to the land. Children are dying for a difference in matrilineal lineage. If we look at the comments to almost any article written about these events, the situations seem even more dire. My dilemma is that I place hope in the future. Or towards the future. So today I question: must hope always refer to the future? If I focus on hope, do I deny the good being done today, for today? As educational leaders – and to this I include teachers, consultants, administrators, support staff – we need to lead our learners to find the actions and events infused with hope that are happening in the present.